The Senate confirmation of Judge Richard Linn to the Court of Appeals for the Federal Circuit went right down to the wire in the waning hours of the 106th Congress’ first session. “I realized when the Senate confirmed me on November 19, just before they adjourned,” said Linn, “that mine would be the last judicial confirmation of the 20thcentury.” He mentioned that historical fact to his 13-year-old nephew, Christopher, whose great grandfather was Judge Orrin Lewis (E. D. Va.) and whose father and grandfather are attorneys. Christopher considered for a moment, then, with the legal acuity he’d obviously inherited, suggested his uncle therefore should be the first federal judge sworn in of the new century. “I proposed to Chief Judge H. Robert Mayer that I be sworn in at the court on New Year’s Eve and he was very supportive,” said Linn, who couldn’t have chosen a better time or location for his ceremony. The chambers of Chief Judge Mayer look out on the Washington Monument, where fireworks and other festivities were scheduled as part of the nation’s millennium celebration. In due course, family and friends gathered in Chief Judge Mayer’s chambers. Judge Alan Lourie (Fed. Cir.) had synchronized his watch with the cesium clock in Colorado, to assure to the second the accurate time, and at the stroke of midnight Judge Linn placed his hand on the bible to take the oath. “Just at that moment the fireworks erupted around the Monument,” relates Linn. “I was naturally focussed on the oath and making sure I didn’t leave out something, but it was difficult with all the fireworks going off.” With theatrical flair, a crescendo of fireworks broke over the Mall as Linn finished the oath. “I’ll never, ever forget it,” said Linn, the nation’s first new federal judge in the brand new 21stcentury. Can the Patent System Help Stop a Hurricane? Natural disasters often drive home the value of a patent system that incentivizes all types of innovation — whether it be living organisms or business methods. 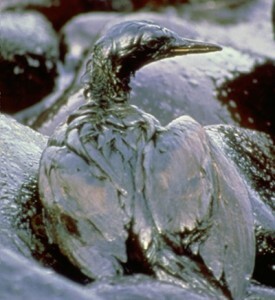 For example, the Chakrabarty case concerned a new living organism that could be used to help clean up oil spills. You may have also heard of Nathan Myhrvold’s and Bill Gates’ applications for taking the bite out of hurricanes. For example, claims of this particular application are directed at a method of doing business: [Water Alteration Structure Risk Management or Ecological Alteration Management Systems and Methods]. The Supreme Court is set to hear oral argument tomorrow in the copyright case of Kirtsaeng v. John Wiley & Sons. The ABA does a nice job of gathering the briefs for each Supreme Court case. You can access the ABA’s Kirtsaeng preview at this link. The Florida Bar offers a Board Certification program for its intellectual property attorneys. [Link]. You can view some sample questions for the exam [here]. The proper use of the word “each” is pretty straightforward. Right? If you are up to the task, select the correct sentence in the following groupings. Answers to follow in a later post. I. a. Each of them sees many advantages in that plan. b. Each of them see many advantages in that plan. II. a. Each of the children is happy today. b. Each of the children are happy today. III. a. Every one of these four-door cars is ugly. b. Every one of these four-door cars are ugly. I was wondering how many patents have issued over the years that contain claim language referring back to a plurality of something. *One would think that if “each” were so well understood to mean “every one” that there would be a more even distribution between patents that recite “each of the plurality” (96,169) and patents that recite “every one of the plurality” (112). At the beginning of each Supreme Court term, the Court releases the audio of the announcements of the decisions from the previous Supreme Court term. An announcement is not an actual word for word reading of the Court’s opinion. It is a short synopsis of the opinion. One of those announcements was for the Mayo v. Prometheus decision. You can listen to Justice Breyer read that announcement of the opinion here. The announcement ran about seven minutes. So, if you are pressed for time, you can listen to a speedier version here. The Federal Circuit issued its en banc opinion in Beer v. U.S., __ F.3d __ (Fed. Cir. 2012) this afternoon. The Beer opinion is not a patent case — it concerns judicial pay. It is interesting that while the en banc Akamai case took a rather long time to decide by Federal Circuit en banc standards (Akamai took roughly nine months following oral argument), the Beer decision was on tap for public consumption pretty quickly (a mere five weeks following oral argument). I’ve noted in the past that since becoming Chief Judge, Chief Judge Rader has not asked substantive questions during oral arguments of en banc cases. This is odd as he doesn’t hesitate to ask questions during oral arguments of panel cases where he always serves as presiding judge. The oral argument in Beer was no exception to this growing pattern. If I ever attend a conference where CJ Rader is speaking about en banc cases, I should ask him what the story is. The Beer opinion along with its dissent and concurring opinions is available here. You can listen to the oral argument here: [Listen]. The recorded program from the University of Colorado Law School program is available here. Circuit Judges Lourie and Reyna were surprise participants in the program. You can watch Circuit Judge Lourie beginning at about the 23:12 minute mark of the first video segment. You can listen to Circuit Judge Reyna beginning at about the 1:21:40 mark of the first video segment. As part of the Federal Circuit’s visit to hear oral arguments at the University of Colorado Law School, a patent/antitrust program is being held today. You can watch a live stream of the program here: [Link]. Speakers include: John Duffy (UVA), Ray Chen (Solicitor, USPTO), (Chad Hilyard (Chief IP Counsel, RockStar Consortium), Arti Rai (Duke), Fabian Gonell (Qualcomm), as well as a host of other interesting speakers. Times listed below are Mountain time. The Federal Circuit is sitting at the University of Colorado Law School today. You can catch the live video stream of the program here: [Link]. Update: The live video stream of the oral arguments has now concluded. You are currently browsing the 717 Madison Place blog archives for October, 2012.